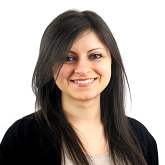 Ms. Maria Rosaria Coduti began her internship at ISDP in March 2016. She holds both BA and MA, with honors, at the School of Political Science at the University of Bologna, Italy. Her specialization is on East Asian International Relations, with a focus on two Koreas and China politics. During her last MA year, Ms. Coduti conducted research on North Korea’s Foreign Policy for her final dissertation, and she went to Seoul to attend a summer program at Kyung Hee University to deepen her studies. Her research interests focus on domestic and foreign policy of two Koreas and China, inter-Korean relations, nuclear and security issue in Northeast Asia, and cognitive foreign policy analysis and role theory. At ISDP, Maria Rosaria will be affiliated with the Korean Peninsula Program and China Initiative. What is the strategy behind the recent events in North Korea, and how will the 7th Congress of the Workers’ Party of Korea affect future developments?